Q-I work for a trading company and am on my husband's visa sponsorship. My health insurance expired in December 2017 and thereafter I availed sick leave on February 18, 2018, for one day. The employer is requesting me to submit my medical certificate attested by Ministry of Health (MOH). Based on this, I replied to my employer by email that if they will reimburse the cost to obtain a medical certificate from MOH. However, the employer never replied to my email and they intend to deduct one-day salary for the sick leave availed. Further, my employer is irregular in payment of salaries as the salary for the month of December was paid in the second week of February 2018. Based on the anonymous complaints, the Ministry of Human Resources and Emiratisation had visited your employer and warned them for delay in payment of salaries. 2-Bear the cost of such health insurance coverage rather than making the beneficiaries bear such costs. 3-Verify that the health insurance of the persons sponsored thereby is valid for the length of their residence or visiting period. 4-Bear the health services and medical intervention costs in emergencies for any of the persons sponsored thereby if any of them has no health insurance in accordance with the provisions of this Law. 5-Give the persons sponsored thereby the health insurance card. 6-Provide the health insurance policy upon the residence or visiting issuance or renewal of the persons sponsored thereby. 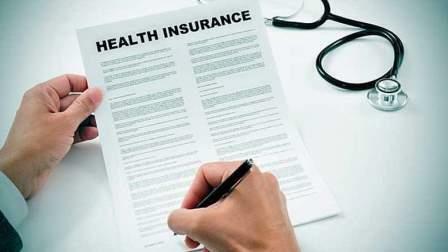 Although, in Dubai, the authorities concerned encourage employers to bear cost of health insurance to all employees, including the ones who are not on their sponsorship, but it is not mandatory. Since, you are under the sponsorship of your spouse, it is the responsibility of your spouse to take a health insurance for you and not the employer. Your employer cannot deduct your salary as you were on sick leave. However, onus is on you to provide a medical certificate issued by the doctor you consulted when you were sick. Further, you may complain to the Ministry of Human Resources and Emiritisation (the 'Ministry') if your employer does not pay your salary on time. An employer has to pay salary of his employee within 10 days after maturity date. This is in accordance with Article 1(b) of Ministerial Decree No. 739 of 2016 Concerning the Protection of Wages, which states, "The employer shall be deemed late in paying the wage unless he pays the wage within the first ten days as of maturity date, and shall be deemed as refusing to pay the wage unless he pays it within one month as of the maturity date, unless a less term is set/provided in the contract."